Palram Vega 2000 Door Canopy: This Palram Vega 2000 door canopy features legs which will set it aside from the standard door canopy styles. 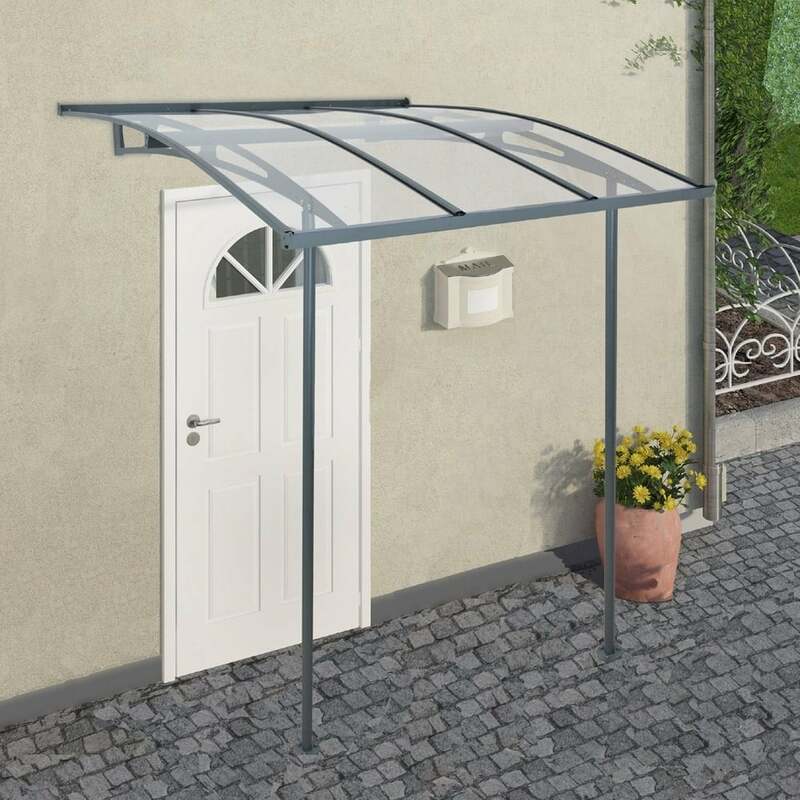 This canopy can be placed outside the front of the house to create an undercover area over the door or alternatively on a balcony to create shade and rain protection. The Vega canopy has durable powder coated aluminium profiles and a strong 3mm clear polycarbonate roof. The support arms are made from laser cut; powder coated galvanised steel to create a strong and long lasting structure for the outside of the house. The canopy features gutters to redirect the rainwater and hidden rubber seals that sit against the wall to prevent and leakage. The canopy has adjustable pole positions so that you can change the width to suit your doorway. This canopy is delivered flat packed for easy self-assembly with all fittings and comprehensive assembly instructions.